Births announced this week are: Cadence Rush Anne Lee, Nov. 30, daughter of Robert and Carrie Lee; MacKenzie Hilen Mosig, Nov. 28, daughter of Todd and Mary Mosig; Destinie Catherine Mae Spurlock, Nov. 11, daughter of Randy and Cathie B. Spurlock; Brittney Ann Worrell, Nov. 9, daughter of Michael Ray and Kimberly Ann Worrell; William Scott Tomlin Jr., Dec. 9, son of William Scott Tomlin Sr. and Doris Traylor; Layton Quinn Childress, Dec. 9, son of Westley and Jessica Childress; Jackson Dean Wilson, Nov. 7, son of Kimberly Lynne Wilson. 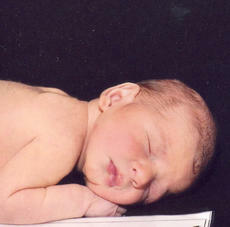 Lynnsey Kay Cash was born to Ashley Cash and James McCarty of Cynthiana on Nov. 19, 2010 at Harrison Memorial Hospital. She weighed 8 lbs. 1 oz. Bella Lee Quesenberry was born to Savannah Renaker and Dennis Quesenberry of Cynthiana on Dec. 2, 2010 at Harrison Memorial Hospital. She weighed 7 lbs. 2 oz. Blake Calvin Lee Robertson was born to Brian and Lisa Robertson of Cynthiana on Sept. 24, 2010 at Harrison Memorial Hospital. He weighed 7 lbs. 5 oz. Gavin Martin Palmer was born to David Martin and Laira Palmer of Cynthiana on Sept. 27, 2010 at St. Joseph East Women’s Center. He weighed 6 lbs. 14 oz., and is welcomed by his brother Jonus and sister Daira. Births announced this week are: Bryson Nathaniel Lemons, Dec. 1, son of Wade and Angela Lemons; Trevour McKay, Nov. 14, son of Amber Ashcraft; Dalton Clay Morris, Nov. 13, son of Terry and Terra Morris; Madison Nicole Johnson, Nov. 8, daughter of Amanda Richardson and Ray Johnson Jr.; Nathan Tyler McRoberts, Nov. 11, son of Maggie Jean McRoberts. Harrison County court proceedings delayed due to four bomb threats made to the courthouse Monday. 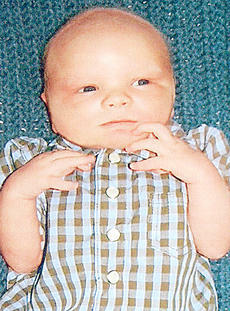 Travis Chase Simpson was born to SSgt/ Steven and Stephanie Kathleen Simpson of Whiteman AFB, Mo. 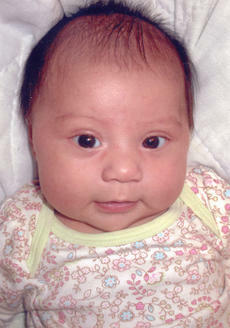 on Aug. 16, 2010 at Western Missouri Medical Center. He weighed 7 lbs. 12 oz., and is welcomed by his sister Sophia Renee Simpson. Maternal grandparents are Gene and Charlene Fuller of Cynthiana; maternal great-grandparents are John and Stella Philpot of Cynthiana and the late Lawrence and Marjorie Fuller. Paternal grandparents are George and Sandy Simpson of Berry. 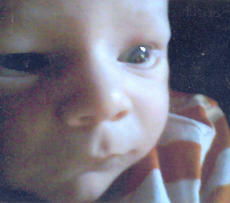 Births announced this week are: Hunter Michael Florence, Sept. 7, son of Michael and Rebecca Florence. Harrison native and songwriter Glen Thacker caught the ears of a Hollywood recording company. He has had five of his songs recorded on various albums. Thacker mostly writes gospel and country music. State highway department to set aside $614,799 for road projects. 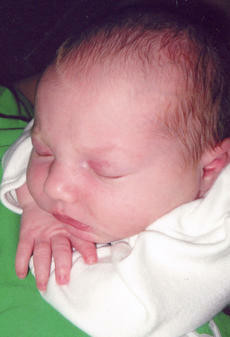 Sophia Alexandra Moore was born to Sarah Moore on Sept. 20, 2010 at Central Baptist Hospital. She weighed 8 lbs. 12 oz., and is welcomed by her sister, Sydney, and brother, Caleb. Maternal grandparents are Patricia and Mark Wasson.